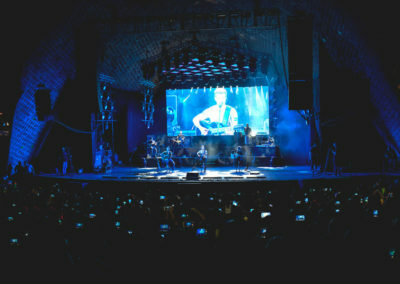 The famous Spanish singer Pablo Alborán performed last April 17th in Montevideo, Uruguay. 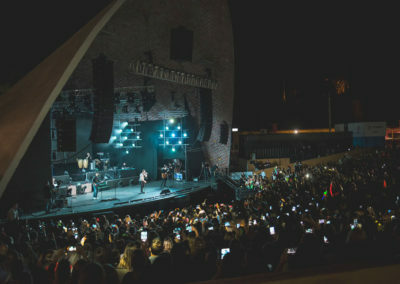 The concert was held at the Summer Theatre “Ramón Collazo”, one of the most important entertainment venues in the city, for its location and unique architecture. 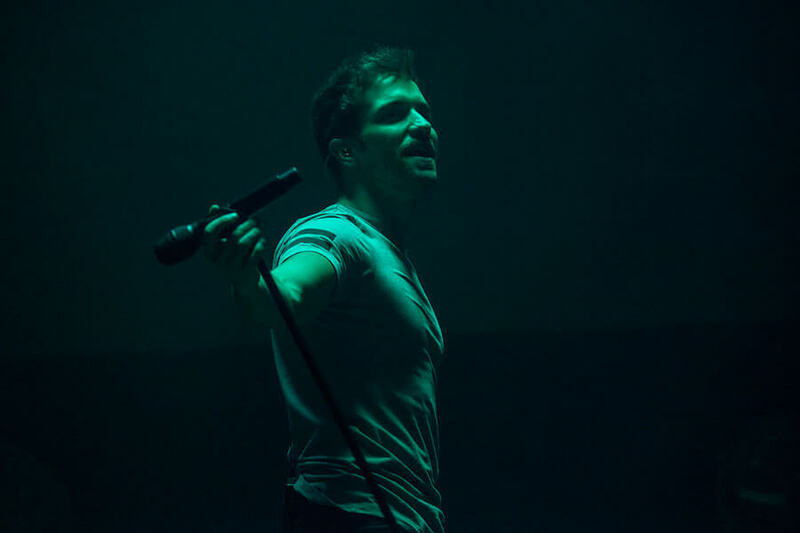 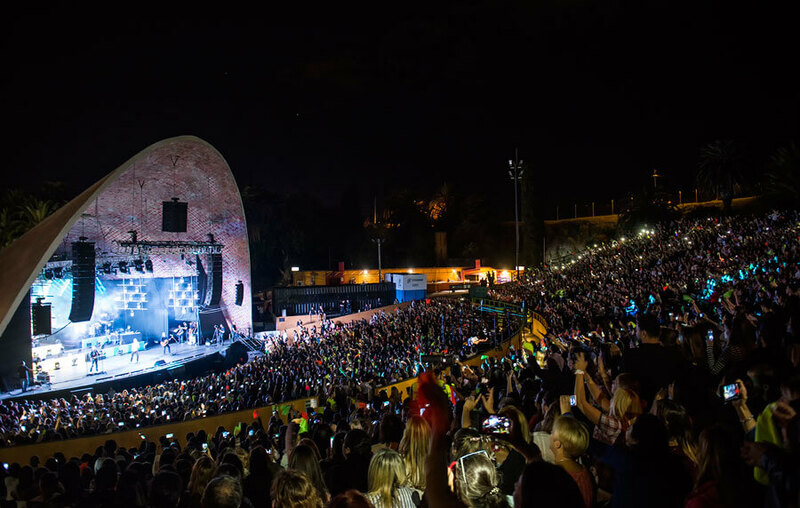 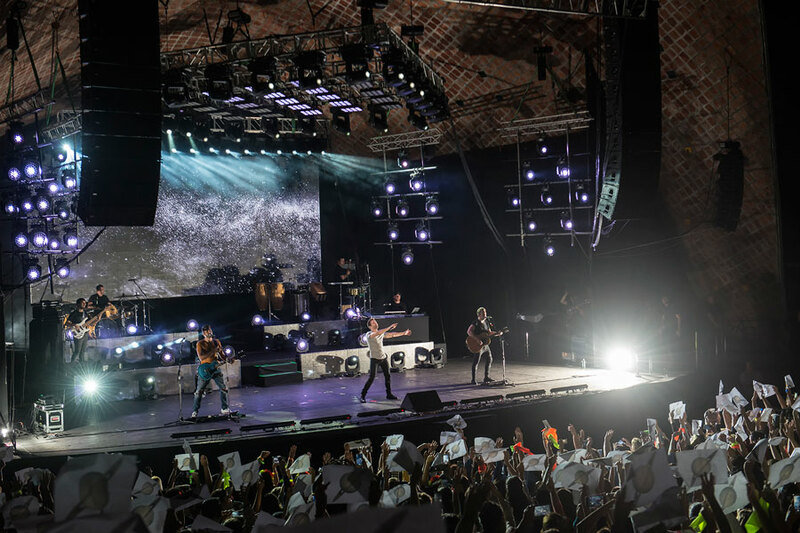 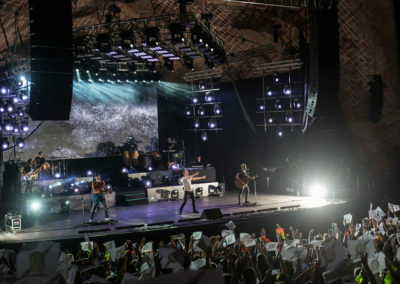 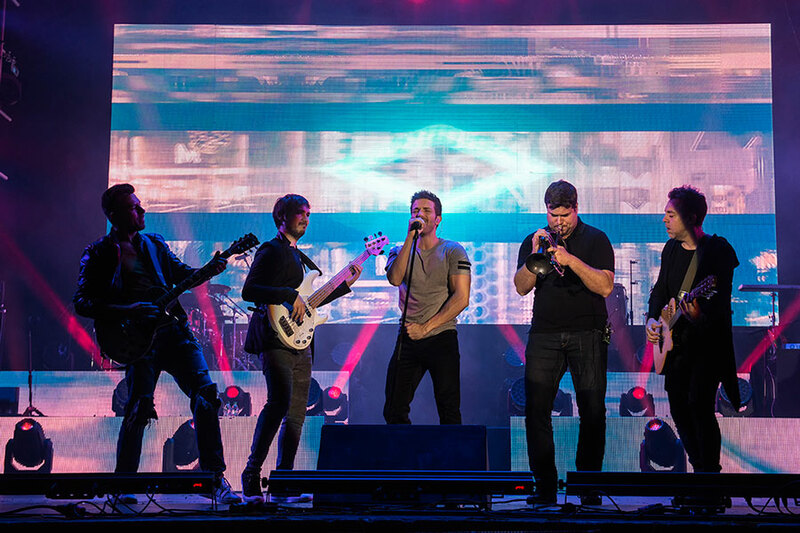 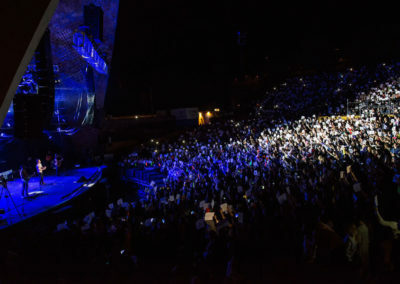 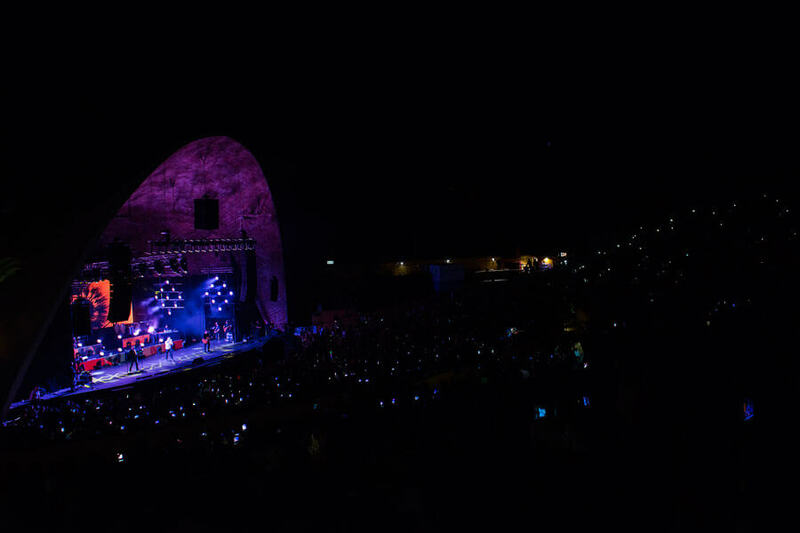 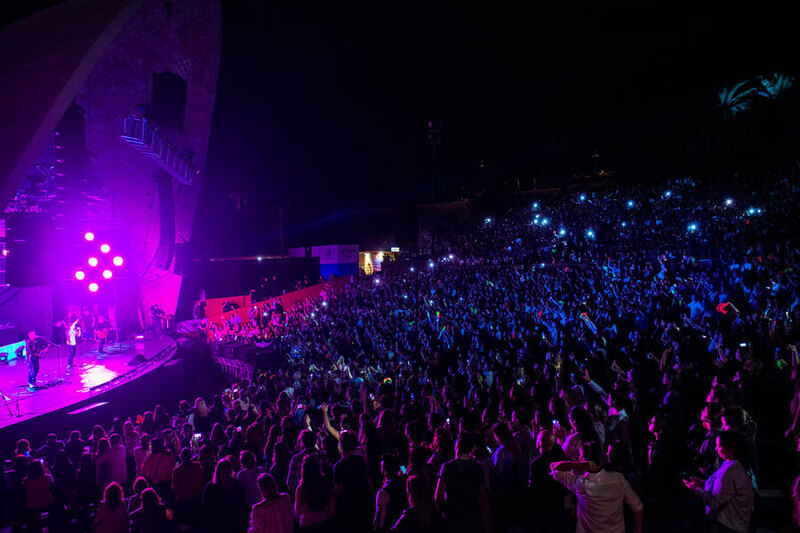 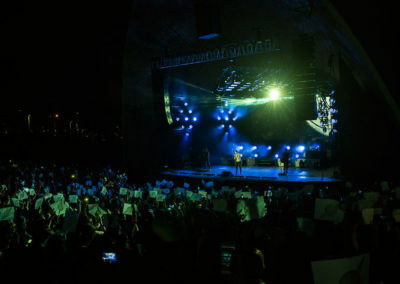 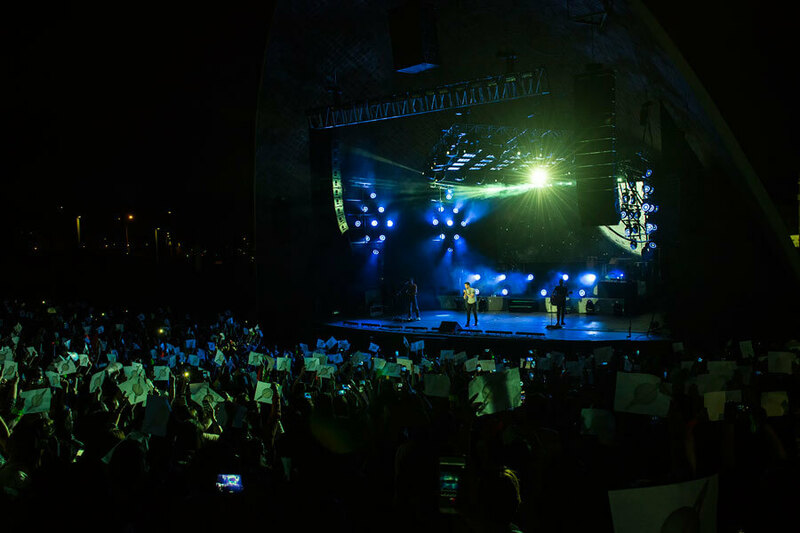 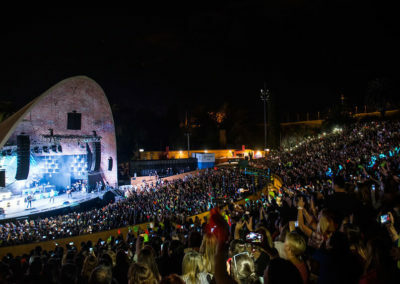 Montevideo was one of the stops of the “Tour Prometo 2018” of Pablo Alborán, a tour that has been carried out through several Latin America countries, as well as Spain since February. 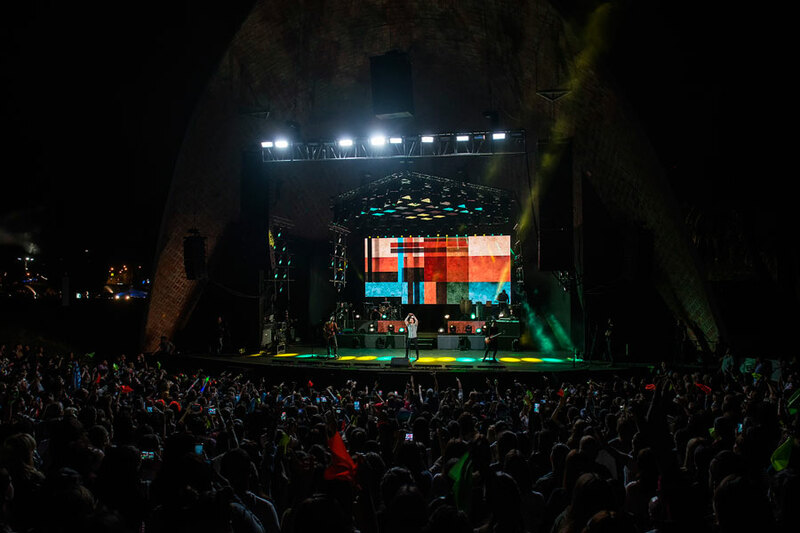 This tour has been one of the most wanted of the hispanic music scene, since the Singer has a large number of followers in Spanish-speaking countries. 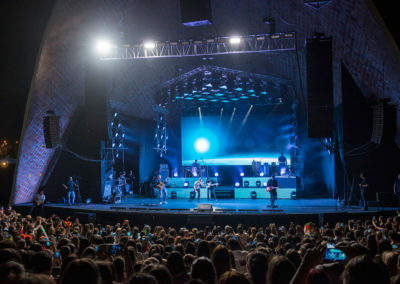 Lynx Pro Audio was present thanks to the technical team of Gánzua CPMU, who were in charge of assembling the different audio systems in the stage. Specifically, Juan Lujambio has been the engineer in charge of assembling the different systems they used to sound the stage. 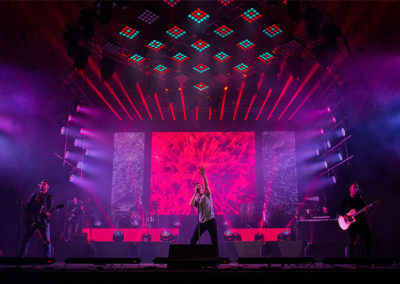 The main system contains a line of 24 LX-V12 cabinets, placing 12 on each side of the stage; 12 LX-318C making a physical bow and 3 LX-318C flown in the center of the stage. 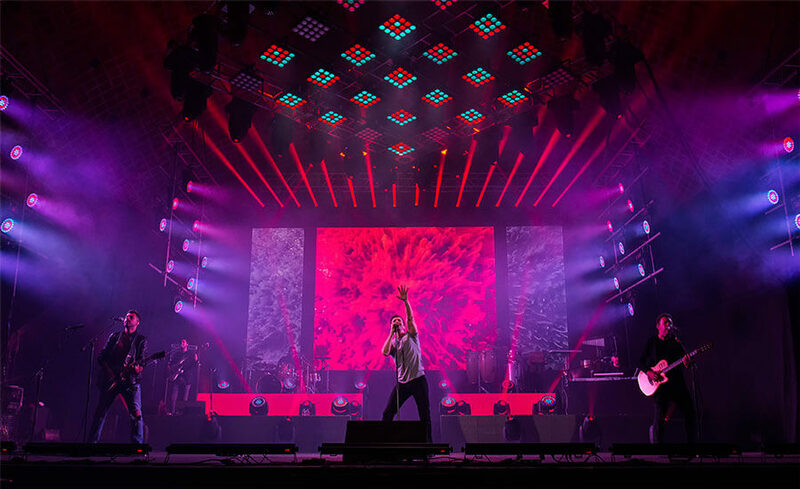 Three LX-V12 have been placed in the front fill system, while 12 LX-V8 have been placed in the outfill system, 6 on one side and 6 on the other. 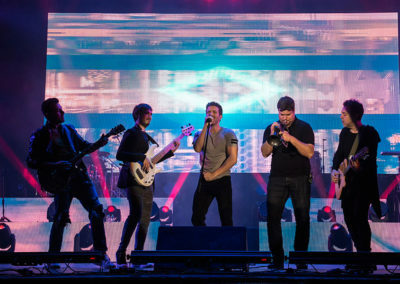 8 LX-V8 (4 per side) and 4 LX-218s (2 per side) have been used for the sidefill system. 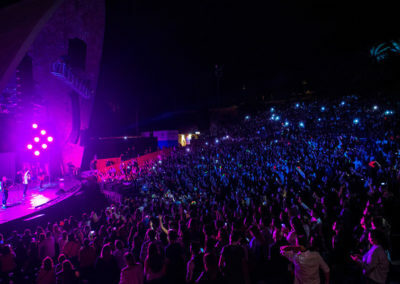 The sound system has been placed like this to offer the best sound experience to the viewers. 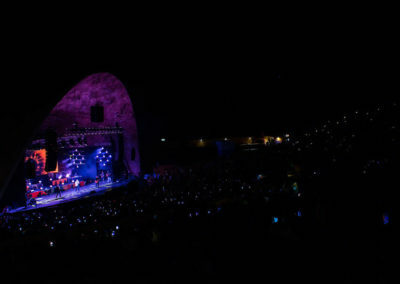 High performance auto-amplified line array with integrated DSP have been used. These array belong to the LX-Series, developed specially for management teams, concert halls, auditoriums, outdoor events and large stadiums. 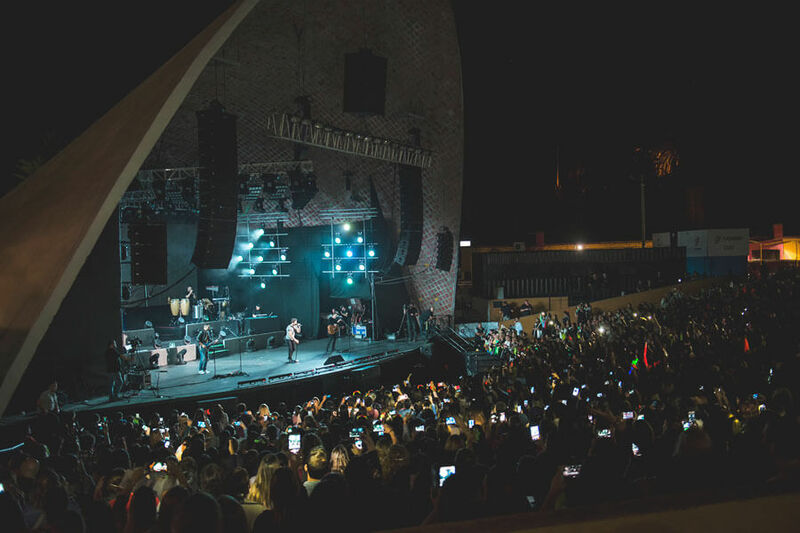 The stage “Ramón Collazo” has two advantages that make it an ideal setting for shows: thanks to its architectural form the stage can be seen well from any location and the inner cone shape that has been reformed provides greater technical and acoustic possibilities. In the show, Pablo Alborán has performed the songs of his fourth studio album “Prometo”, which was released on November 17th. 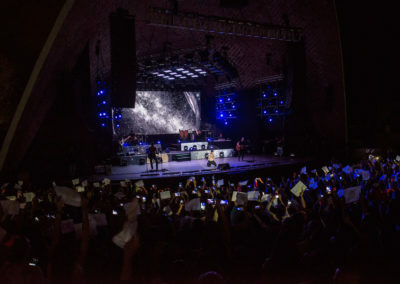 Three years have passed since his last tour and “Prometo 2018” has generated great expectations. 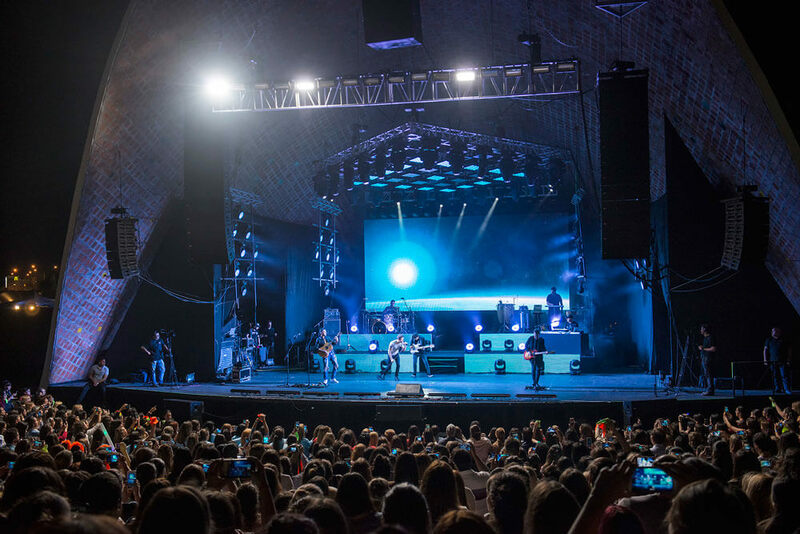 Supporting our slogan “Culture of Sound”, Lynx Pro Audio is pleased to have been able to bring the music and voice of the artist to his fans in Montevideo. 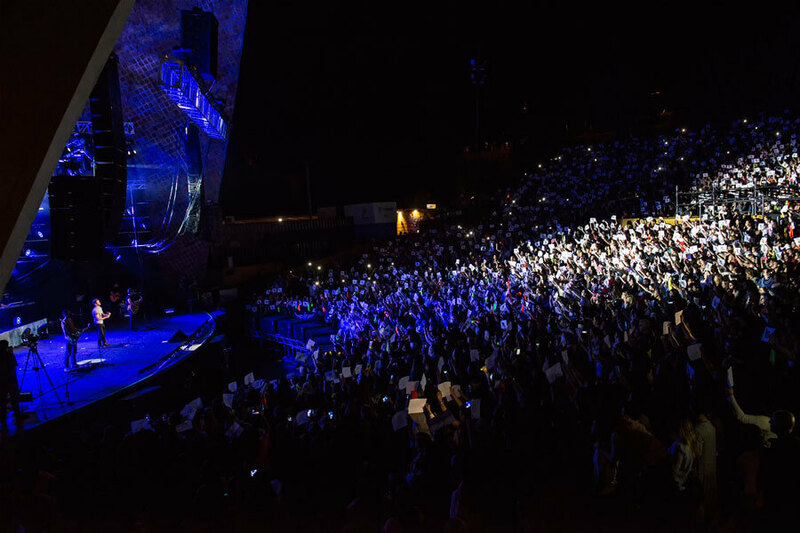 Thanks to Martin Pereira for the pictures and Gánzua (especially to Claudio Piccerno, Diego Poluboriarinov and Alejo Bussero) for making this event possible.